Clichéd and one of the most over quoted phrases but surprisingly true. If someone would have hinted a year ago that I could run a 10 km marathon I would have laughed it off as a joke. For someone like me who had lived the life of a proverbial couch potato and never run even 100 meters this was an impossible feat. For me the first step happened a year ago when an over enthusiastic friend dragged me into a 3 km charity walk/run. The motivation given to me was I could click pictures with the super fit Milind Soman(yes I am a fan :)) and the fact that it wasn’t a race and I could walk at my own pace. I was skeptical at first but when the walk/run began the enthusiasm of hundreds of runners right from toddlers to senior citizens kind of rubbed off me. I began enjoying the positive energy around and in my excitement even tried to run for a while. Obviously I could not go beyond few hundred meters flagging the sorry state of my fitness and making me realize that I needed to do something about it. Thus began my slow but thankfully steady journey towards fitness. 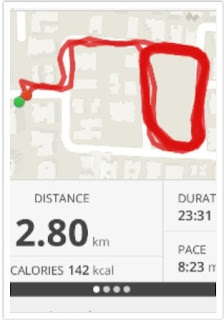 I started with 20 min brisk walking (no garden strolling please!!) and continued the same for almost 1-2 months till my mind and body got into the discipline as well as some basic strengthening of muscles. Once I was comfortable with this regime I moved on to 30 min jogging and brisk walking for another 1-2 months. - I had installed an app MayMyWalk (many other options available) which gave me interesting statistics on the kms covered, calories burnt, pace achieved and showed me a neat record of all my workouts. This inspired me to do better each day. The next big challenge was to keep the momentum going so I signed up for a 5 km marathon run. My performance was much better than my first attempt and that increased my confidence. Another advantage of attending marathons and other running events is you end up connecting with like-minded individuals who are passionate about fitness and who keep pushing you to attempt the next level. 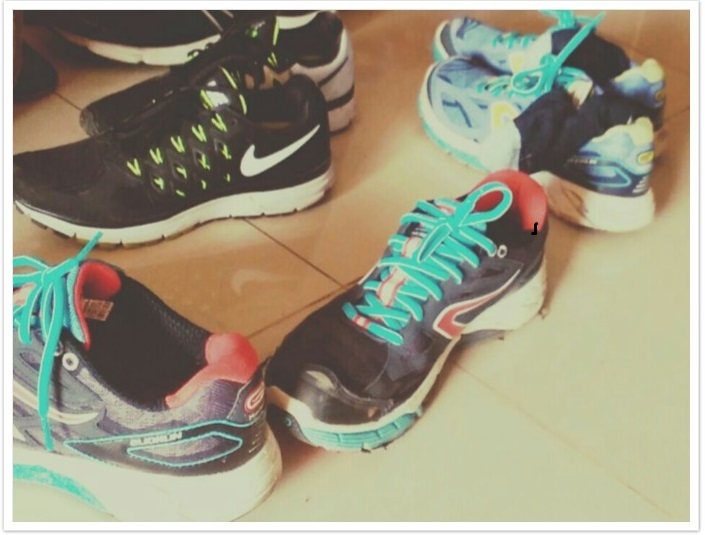 - Was in constant touch with running enthusiasts – friends, neighbors, people I had met at marathons and joined them in weekend running sessions whenever possible. These days with so many whatsapp groups it is much easier to coordinate such activities. So when the marathon season began again this year, I felt confident enough to attempt a 10km run which I completed with a decent timing of 77 mins and with loads of confidence. 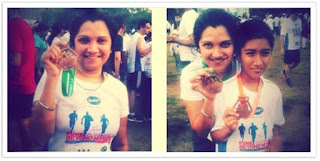 What’s more, I was even able to finally inspire my 10 year old son who joined me with a 3 km run. He too loved it and wants to attempt his 10k soon. I will be honest that I wasn’t 100 percent regular throughout the year. There were couple of weeks when I simply could not make it because of work or household responsibilities. But I realized that once you have started running it became a habit and I would start missing the energy and positivity I got from running. I also realized that this was the simplest form of exercise that required no fancy equipment, courts, teams and you alone were responsible to make it happen. 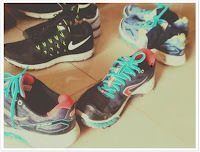 All you needed was a decent pair of shoes and a 20 min slot anywhere during your day - 3-4 times a week. So if I was not able to do it I was simply making excuses to myself. Time wasters like mindless TV time, phone time or simply the lazing around on weekends were crucial time pockets I could utilize for a quick jog.